Backyard-Hockey.com is a blog that seeks to bring hockey back to its roots. To get a quick email update when new posts are published to the blog, subscribe below. 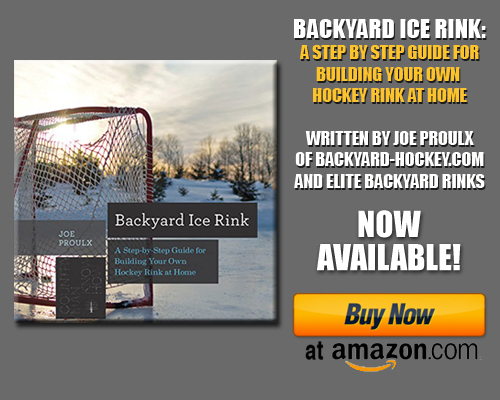 These emails are quick notifications that there is something new up at Backyard-Hockey.com for you to look at. If you sign up for this you need to understand that you’ll get emails from us. You can unsubscribe at any time. To get these regular emails, add your email address here (you’ll be sent an email asking you to confirm your subscription). Built my first rink last night, have to fill it today. Just had a fresh snowfall and the kids are really excited! Hey Im looking for a list of pond hockey tournaments for kids. I have 5 Florida Squirts that we took to Minnesota last year for the Anthony Ford Pond Tournament and had a blast. Boys ended up going undefeated. Not bad for some surfers from the sunshine state. We are looking to take this show on the road this year and find some more tourneys…Can anyone help with some suggestions for kids tourneys???? Do you know anybody in your circles that can help our boys spread there video around? The video has been featured on TSN BarDown and about 5 other hockey websites. Looking to keep the video growing in popularity for them. They are surprising the other Richmond Hill Stars hockey teams with this music video that the team produced. From Macklemore and Ryan Lewis’s hit song “Downtown”, the team rocked out to their version: “Playoffs”. This music video highlights the years best and worst plays, to their own rap leading to the “Playoffs”.